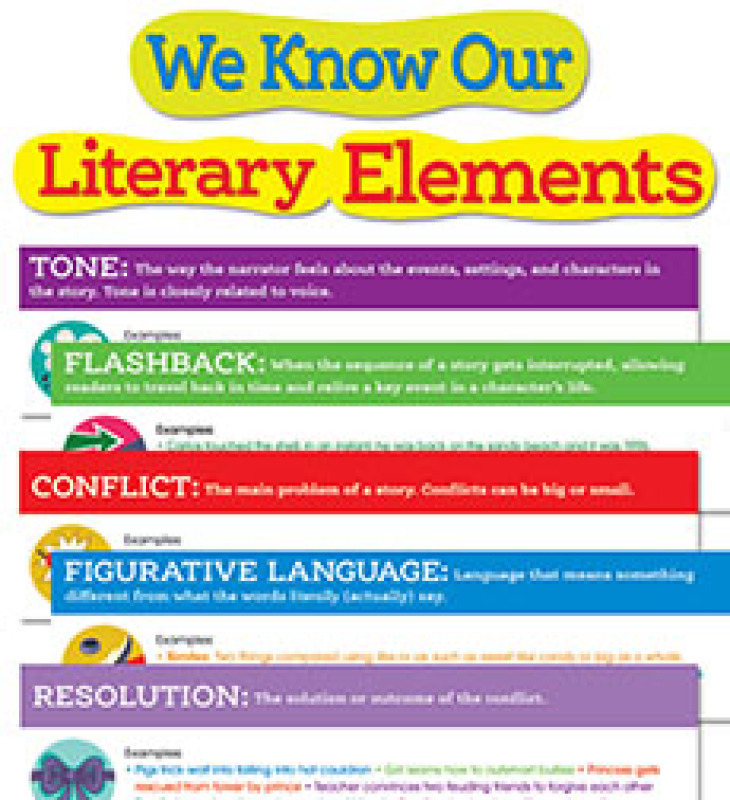 Annotation: Big, bright, illustrated cards display 15 essential literary elements, and provide definitions and examples for each. This set helps students explore plot, setting, character, conflict and resolution, mood, voice, point of view, and more! Supports the Common Core State Standards.